Activities around Dahlonega. Check back for more as we add them. Two rounds of trivia, $20 awarded to first place for each round plus camping related door prizes! Take a 2 1/2 hour float on this Class I river one mile from the downtown square. Located beside the camping area. Tubing trips take 30-45 minutes and take out at the Trail Fest camping venue. Repeat trips permitted in same day. 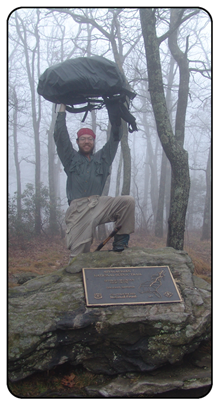 Always wanted to hike on the famed and historic Appalachian Trail? You are only a short drive away from two very scenic sections of the AT. Go on your own and park at the paved parking lot at Woody Gap with pit toilets. 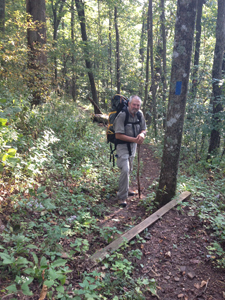 Leaving from Woody Gap and going south to Ramrock Mountain, then back to Woody Gap, a distance of 2.5 miles. Ascend Ramrock Mountain with spectacular views to the south. On a clear day, you can see the skyscrapers of Atlanta and Stone Mountain 70 miles away! For a longer hike, continue on to Gooch Gap and back for a round trip distance of 7 miles. OR leave Woody Gap and go north ascending to the spectacular view at Preachers Rock then return to Woody Gap, a distance of 3 miles. If you are interested in these hikes or others in the area, check at the Trail Fest Booth for directions or answers to questions. Information provided by Trail Fest for those who would like to hike the AT, but this is not a Trail Fest sponsored activity. 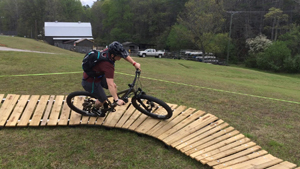 Would you like to try mountain biking in downtown Dahlonega? 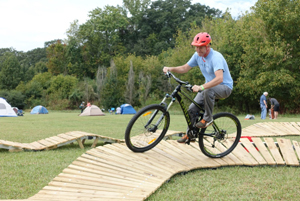 Join REI as we bring our 50 meter mountain bike pump track to the Dahlonega Trail Fest. Don't have a bike? You can demo a Ghost Brand full suspension mountain bike! 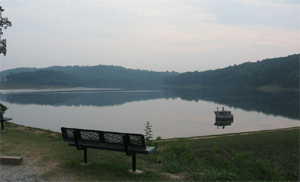 Join REI at Lake Zwerner during the Dahlonega Trailfest. We will be having free kayak and stand up paddleboard demos all day on Saturday and Sunday. 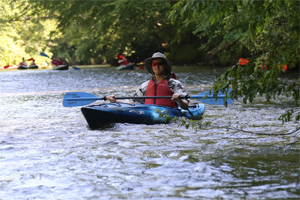 Get free tips on paddling from REI Outdoor School instructors. All equipment will be provided. 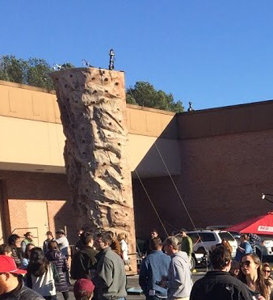 Scale a 27 foot climbing wall in Downtown Dahlonega! There are five belay stations and we provide professional guides, harnesses, and other equipment. 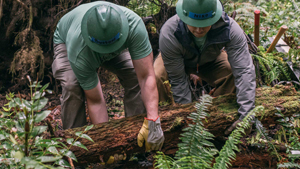 You can be an AT thru-hiker! Visit the AT Experience at Dahlonega Trail Fest. The AT experience is a 100 foot long interactive map of the Appalachian Trail. 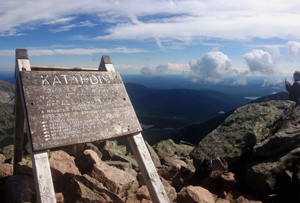 Learn about all of the states along the AT and get your photo on top of Mount Katahdin when you finish! Get ready for the best race you've ever experienced! 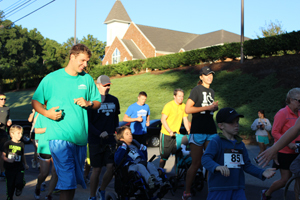 The ConnectAbility 5k/10k is much more than a race ­ it's a morning of fun for the family that supports families impacted by disabilities. 100% of the proceeds from the race support ConnectAbility, a community not for profit organization giving purpose to children and adults with special needs and support for their families. 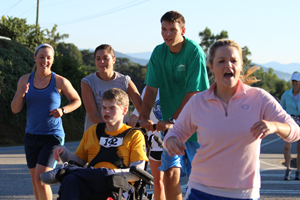 This activity is conducted by ConnectAbility, Inc., an organization committed to encourage, enrich, empower and equip children and adults with disabilities, their families, care providers and the communities in which they live, and is not affiliated with the Dahlonega Trail Fest. 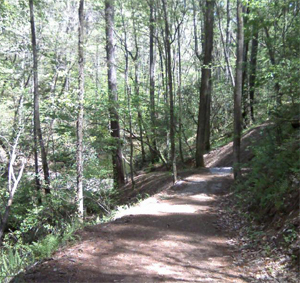 Join REI and the Chattahoochee Trail Horse Association for trail work at Jake and Bull Mountain during the Dahlonega Trail Fest. All tools will be provided. This is a kid friendly project so bring the whole family. Lunch will be provided to all volunteers. After the service project, head down to the square at the Dahlonega Trail for food, drinks, and outdoor activities. Dahlonega Mountain Sports will have Inov8, and Topo trail shoes for folks to test out on the Lake Zwerner trail (we are still waiting to hear back from Altra for both days or just one day). Wrightsocks has donated socks and while supplies last, everyone who tests out shoes will get a pair of Wrightsocks to keep! Tailwind (electrolyte drink mix) is providing hydration at the demo run and Honey Stinger is providing samples of their products as well.